Well maintained home in the desired community of Dover Cove. 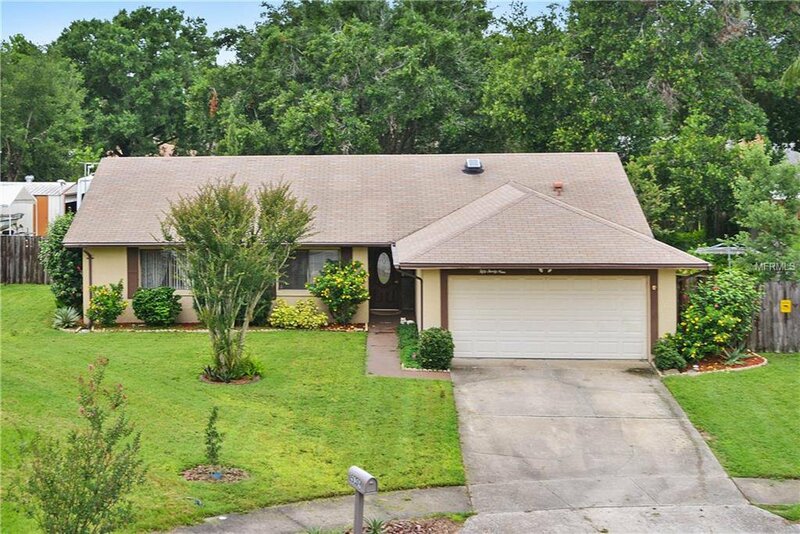 Located minutes from Downtown Orlando and the Airport makes it a breeze to commute. This home has NO HOA and combined with an Over-sized lot, it has an abundance room to store a RV or Boat. And for the hobbyist, there is an ample sized workshop to enjoy. Spend time Relaxing in the covered screen patio with a serene setting of the mature landscape or use your green thumb to plant a beautiful garden. As you enter through the foyer, a wonderful home feeling welcomes you to enjoy cozy nights by the fireplace. Vaulted ceilings and wood laminate floors are flowing through the main area. The large eat in Kitchen with Granite Countertops is great for prepping the holiday feast. After a long day, retreat to the spacious master suite for some R&R. Community Center nearby and a new Elementary School. You don’t overlook this Gem of a home. Listing courtesy of KELLER WILLIAMS ADVANTAGE 2 REALTY. Selling Office: HOUSESTAR REALTY GROUP INC.